Hassett is a Drop-Off Site for the GNYADA/New York Cares Coat Drive! 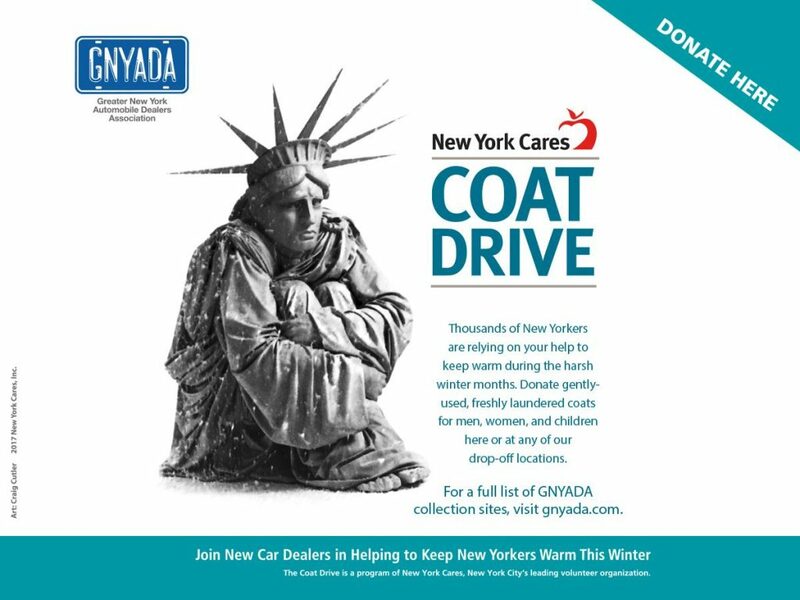 Hassett is an official drop-off site for the Greater New York Automobile Dealers Association – New York Cares Coat Drive, happening now until January 2019. Please consider donating any gently used coats and jackets for men, women, or children by dropping them off at our Wantagh location during regular business hours.